Human hair lace front wig is an excellent option for women who desire varied hair lengths, colors and hair texture styles without the dangers of damaging their real hair. The versatility and relative convenience of lace front wigs make them a sound investment; however, proper maintainance of the lace wigs are the most important to extending the longevity of lace front wigs. Maintaining lace front wigs takes a bit of diligence, but is well worthy of spending a little time to care. 1.Store human hair lace front wig on the foam mannequin head while you are not wearing it. Doing so will not only help the lace wig maintain its shape,but significantly lessen the chance of the wig knotting and tangling than keeping the lace wig in other place. 2.Untangle the lace front wig with a wide tooth comb before using a narrower one, if necessary. 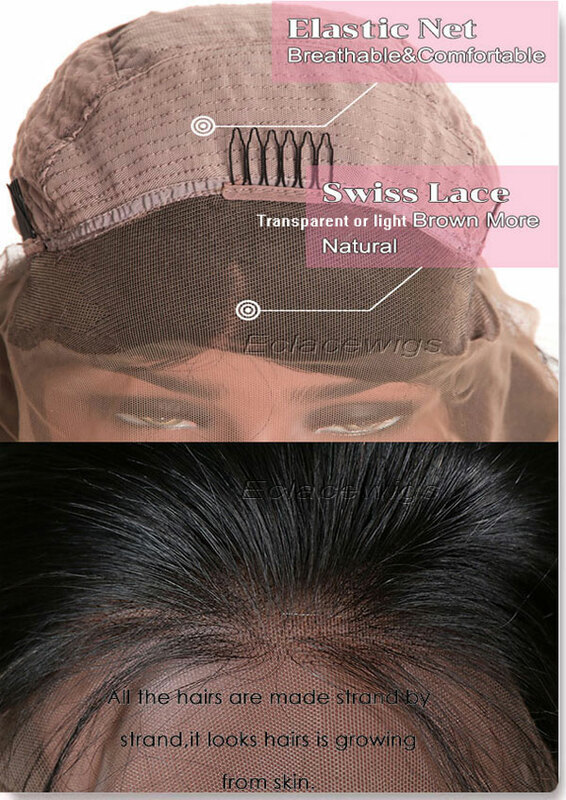 Reducing the amount of tug on the hair will cut premature shedding and maintain the original body of the lace wig. 3.Spray a non-oil based adhesive glue remover around the perimeter of your hairline before attempting to remove the lace front wig. Allow the lace to naturally raise from your skin instead of forcing removal, as this may cause significant hair breakage around and premature decomposition to the lace base as well. 4.Shampoo and condition human hair lace front wig less than once every 10 days, if possible. This can be done while wearing the wig or setting it on a mannequin head, take notice that the use of cool water to thoroughly rinse the hair should be kept consistent all the time. 5.Allow human hair lace front wig to air dry completely after washing. Like real hair, human hair lace wigs maintain a healthier appearance when not overly exposed to heat styling.this is important to the longevity of human hair wigs.